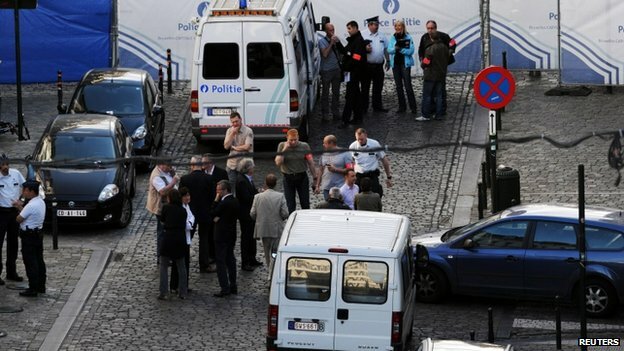 A gunman has shot dead two men and a woman at the Jewish Museum in the Belgian capital Brussels. A fourth person was seriously wounded, emergency services said. The attacker arrived by car, got out, fired on people at the museum entrance, and returned to the vehicle which then sped away, Belgian media report.